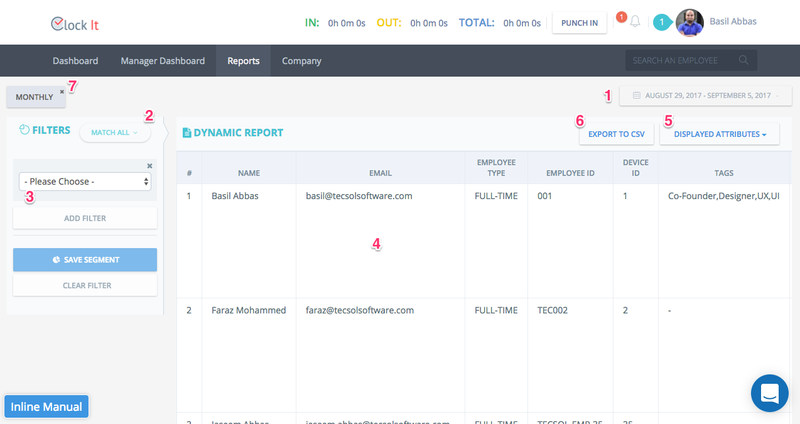 Know more about our reporting engine and how to extract powerful reports to CSV and Excel. 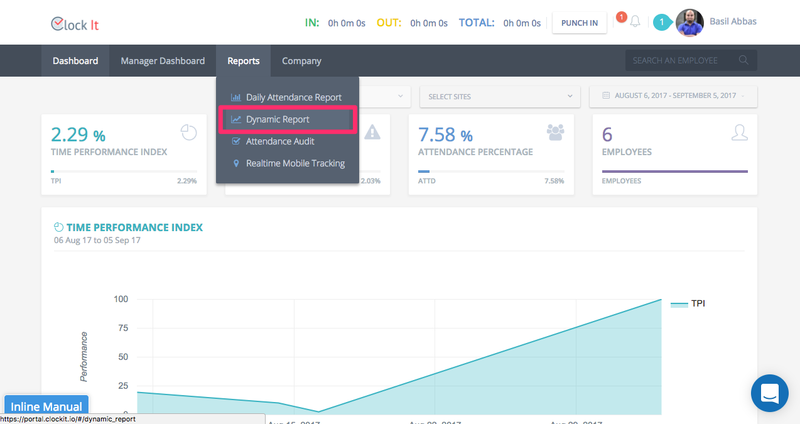 The dynamic report is the most powerful reporting engine in ClockIt. You can generate really simple reports or even generate complex reports that have multiple filters to your report query. 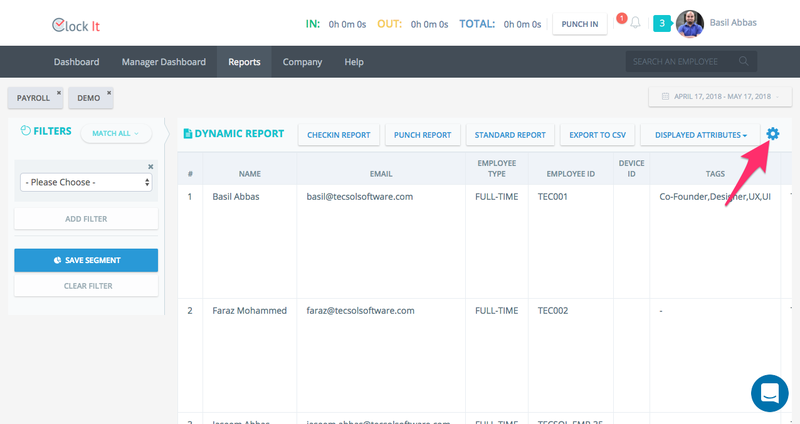 The Dynamic Report is available in both Reports > Dynamic Report or Manager Dashboard > Dynamic Report. The Manager Dashboard > Dynamic report will only contain data for the Manager's team. Know more about how teams are structured in ClockIt. All features are exactly the same in both. 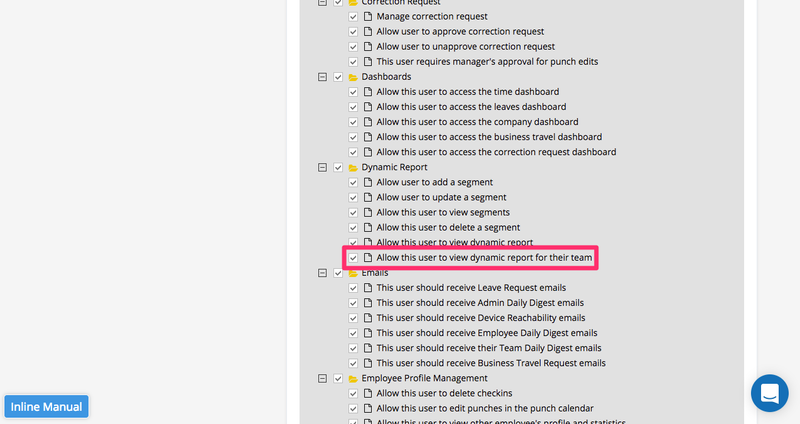 To access the Dynamic Report go to Reports > Dynamic Reports from the menu. You will need to have these permissions enabled in order to access this feature. The indicates the date range. When you select a date range the data in the dynamic report will refresh. We recommend not taking more than 90 days of data as the system will take more time to process the information. Once you have the data in section 4, its time to filter them out based on your need. Choose if you need all filters to be applied or any of the filter. If you have only one filter then this setting will not have any effect. Apply all is the default. From the drop-down, you can select one of 23 filters that we have. For example, IN time greater than 9:00 AM will filter section 4 to show you all employees that have Punched IN after 9:00 AM. You can see the data changing dynamically as you select filters. You can apply as many filters as you need. This section will show you the data and will update dynamically as you apply your filters. Note this section is scrollable and you can use your mouse or keyboard arrows to view more data. It is recommended to use a larger screen for optimal viewing of the data. The display attributes allow you to hide and unhide columns in section 4. This is useful so that you can extract data only what is important to you. Once you have your data fully formatted you can download this data in CSV and open it with Excel or any other spreadsheet software. You can run custom logic on top this as all data is fully formatted by ClockIt for spread sheet formulae. You can also save all your filters and display attributes for future use by clicking on save the segment. All saved segments will show on section 7. Next time you want to run the same report, click on your segment name and ClockIt will load all required filter and filter your data. The dynamic report also has additional settings that you can set with the settings icon. You can set your hours format to hh:mm:ss or decimal depending on how you would like to see the reports. You can enable or disable the daily overtime calculation with this setting. 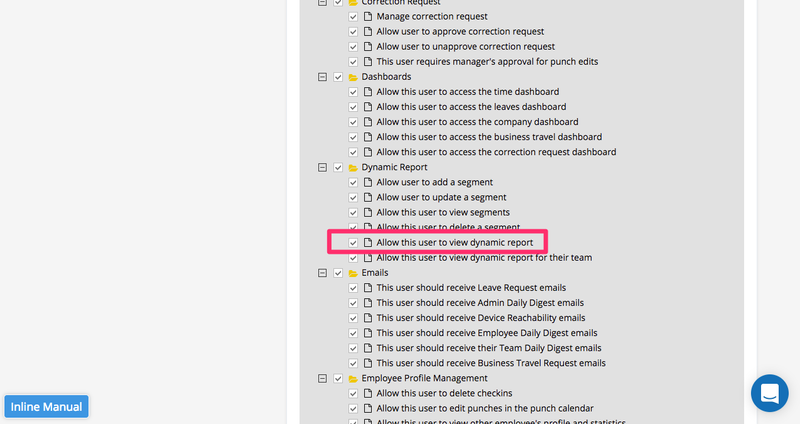 You can enable or disable the overtime column with this setting. Specify if you want to sum the daily overtime or check if the cumulative hours for the week cross a certain hours. Calculate overtime after the set number of hours. Eg. Overtime after 40 hours a week.